We spotted this at a second-hand Saab dealership. We love it. First, it’s got an apostrophe in the right place. It’s got just the one exclamation mark. 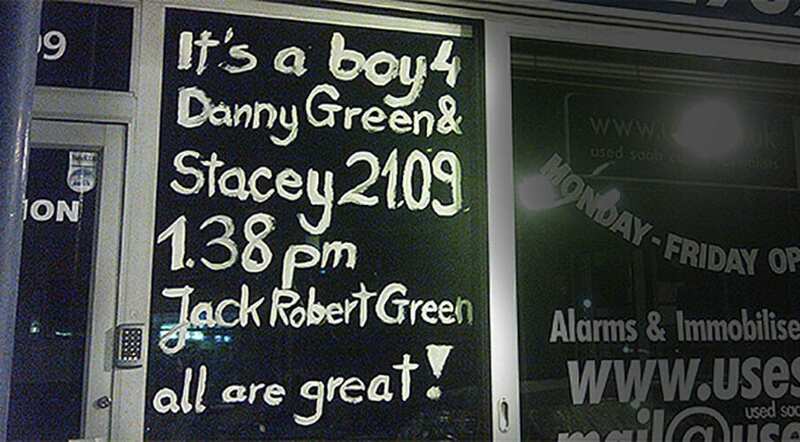 It’s got all the information you need, and it makes everyone passing by smile, whether they know Danny and Stacey Green or not. Does it match their brand identity? Well, it’s a small independent family company, giving you their family news. It’s perfect – naturally good writing.